Windows 10 searches for and uses nearby or your personal WiFi network to determine your device’s location. However, for some reason this doesn’t always work, mainly on desktop PCs. To make up for this shortfall, Windows 10 gives users an alternate to set a default location for apps on PC if it fails to find your current location from networks linked to your computer. You can set default location for Windows 10 apps that use location services such as Maps, Microsoft Edge, Cortana, Weather and more. It may sound as a surprise but to set default apps location on Windows 10 option is not available in the Settings app. Rather, Microsoft decided to put in inside the Windows 10 Maps app. 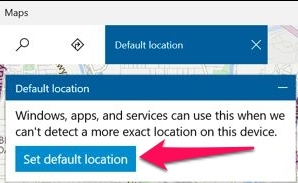 Although the option is in the Maps app, but you can use the Maps app to set default location for every other app on Windows 10 that uses location services. See instructions below to learn how to set default Windows 10 apps location on desktop PCs. 1 – To gain access to this option, click on the Start Menu and open the Maps app. 2 – In the Maps app, tap or click on the ‘…’ (three dotted button) at the top-right corner of the window and click ‘Settings’. 3 – Scroll down the Maps Settings menu. Under ‘Default Location’ option, click the ‘Change Default Location’ button. 4 – Now a “Default Location’ box will appear on the map screen. Click on the ‘Set Default Location’ button on the box. 5 – You can set a default location in two ways, either type in your street address in the default location box or click ‘Set Location’ to choose your exact location from the map. Note: Windows 10 desktop PC users can set their street address as a default location. Users of Windows 10 tablets and laptop devices, which you can carry with you from one location to anther, then the better option would be to select the most frequently used address. That’s all. 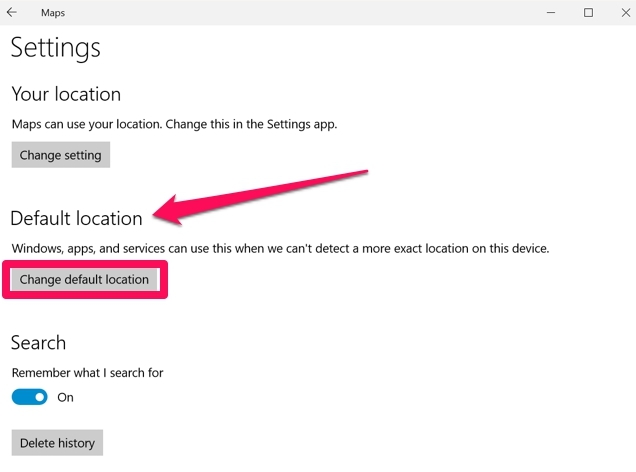 You have set default app location on Windows 10 PC which will be used to automatically set default location for other apps that use location services. You can choose to change previous default app location on Windows 10 in future. To do so, open the Maps app on Windows 10 PC, click/tap on the menu button, select “Settings”, and click on the “Change Default Location” again. Now click ‘Change’ on the Default Location window that shows up on the map app or select ‘Cleat’ to undo your current default location. 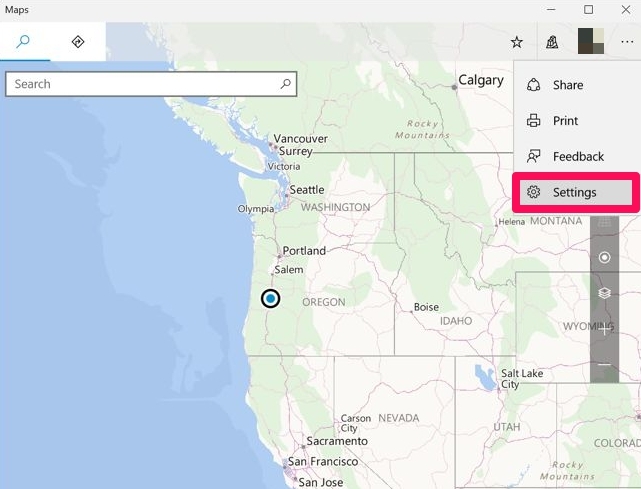 From now on various other apps on Windows 10 that use location services will use this location which you set in the Maps app as default location. Similarly, there is an option to set location for each separate app as well. You can use location option inside individual apps to set your location to help apps find your position status to deliver accurate local information on your device. This also helps apps in finding your location of Windows fails to determine your location.